Level Detection Basics – Where to begin? Initially I started to write this blog to compare photoelectric sensors to ultrasonic sensors for level detection. This came to mind after traveling around and visiting customers that had some very interesting applications. However, as I started to shed some light on this with photoelectrics, sorry for the pun but it was intended, I thought it might be better to begin with some application questions and considerations so that we have a better understanding of the advantages and disadvantages of solutions that are available. That being said I guess we will have to wait to hear about ultrasonic sensors until later…get it, another pun. Sorry. What is the material of the container or vessel? Metallic containers will typically require the sensor to look down to see the media. This application may be able to be solved with photoelectrics, ultrasonics, and linear transducers or capacitive (mounted in a tube and lowered into the media. 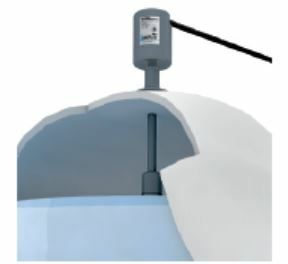 Non-metallic containers may provide the ability for the sensors look down to see the media with the same technologies mentioned above or by sensing through the walls of the container. 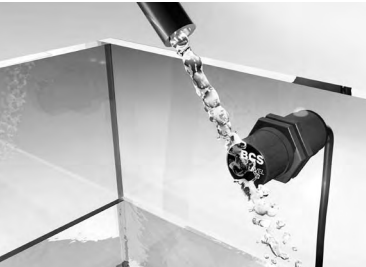 Capacitive sensors can sense through the walls of a container up to 4mm thick with standard technology or up to 10mm thick using a hybrid capacitive technology offered by Balluff when detecting water based conductive materials. If the container is clear or translucent we have photoelectric sensors that can look through the side walls to detect the media. You can get more information in our white paper, SMARTLEVEL Technology Accurate point level detection. What type of sensing is required? The short answer to this is level right? However, there are basically two different types of level detection. 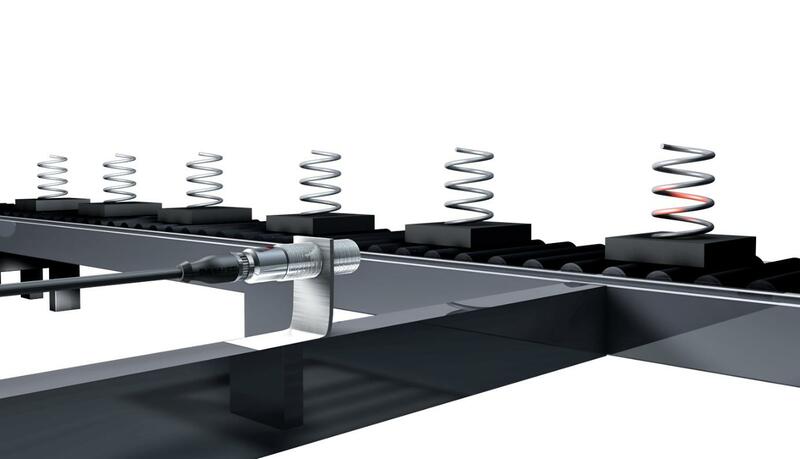 For more information on this refer to the Balluff Basics on Level Sensing – Discrete vs. Continuous. Single point level or point level sensing. This is typically accomplished with a single sensor that allows for a discrete or an on-off signal when the level actuates the sensor. The sensor is mounted at the specific level to be monitored, for instance low-low, low, half full (the optimistic view), high, or high-high. These sensors are typically lower cost and easier to implement or integrate into the level controls. Continuous or dynamic level detection. 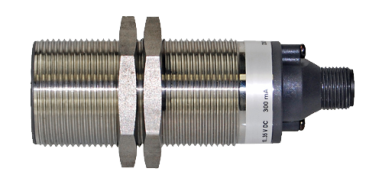 These sensors provide an analog or continuous output based on the level of the media. 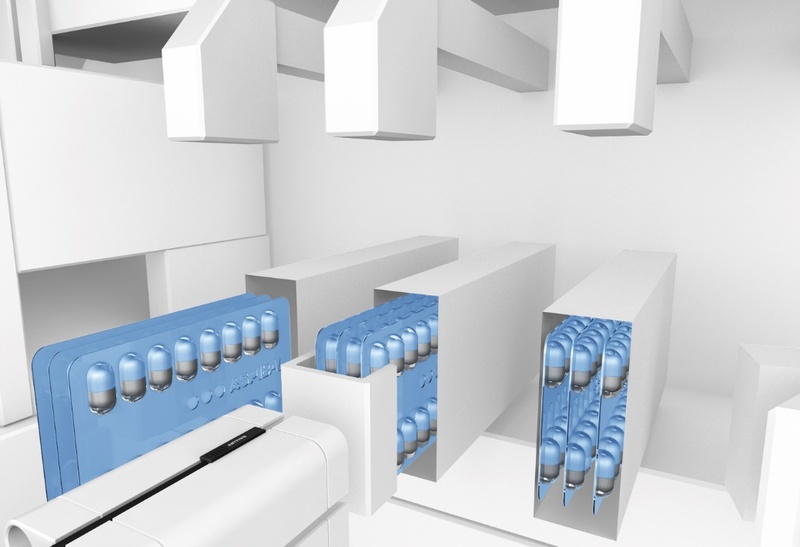 This level detection is used primarily in applications that require precise level or precision dispensing. The output signals are usually a voltage 0-10V or current output 4-20mA. These sensors are typically higher cost and require more work in integrating them into system controls. That being said, they also offer several advantages such as the ability to program in unlimited point levels and in the case of the current output the ability to determine if the sensor is malfunctioning or the wire is broken. Because of the amount of information on level detection this will be the first in a series on this topic. In my next blog I will discuss invasive vs non-invasive mounting and some other topics. For more information visit www.balluff.us. As discussed in a previous blog post, miniature sensors are an ongoing trend in the market as manufacturing and equipment requirements continue to demand smaller sensor size due to either space limitations and/or weight considerations. However, size and weight aren’t the only factors. 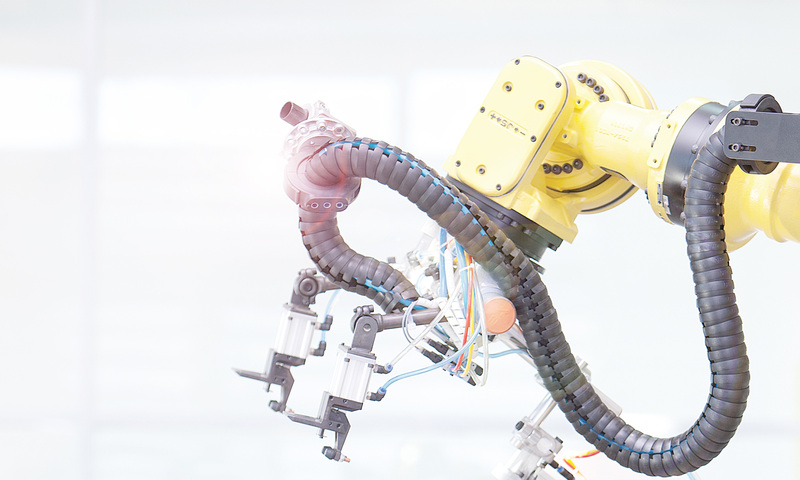 The need for more precise sensing — higher accuracy, repeatability, and smaller part detection — is another demanding requirement and, often times, the actual main focus point. This post will look specifically at capacitive sensors and how smaller capacitive sensors can lead to better detection of smaller parts. Capacitive sensors provide non-contact detection of all types of objects, ranging from insulators to conductors and even liquids. A capacitive sensor uses the principle of capacitance to detect objects. 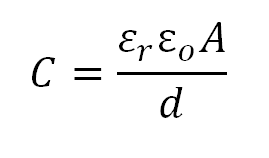 The equation for capacitance takes into account the surface area (A) of either electrode, the distance (d) between the electrodes, and the dielectric constant (εr) of the material between the electrodes. In simple terms: a capacitive sensor detects the change in capacitance when an object enters its electrical field. Internal circuitry determines if the gain in capacitance is above the set threshold. Once the threshold is met the sensor’s output is switched. When looking at small part detection, the size of the capacitive sensor’s active sensing surface plays a significant part. Now there isn’t a defined formula for calculating smallest detectable object for a capacitive sensor because of the numerous variables that need to be considered (as seen in the equation above). 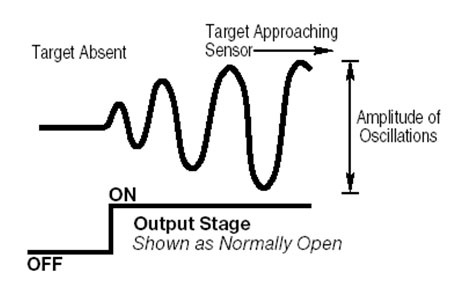 However, the general rule for optimal sensing is that the target size should be at least equal to the size of the sensor’s active surface. The reason behind this is if the target size is smaller than the sensor’s active surface, the electric field would travel around the target and cause unreliable readings. Taking the general rule into consideration and comparing a miniature 4mm diameter capacitive sensor to a standard 18mm diameter capacitive sensor, it’s simple to determine that the 4mm diameter capacitive sensor can reliably detect a much smaller target (4mm) than the 18mm diameter capacitive sensor (18mm). So when looking at small part detection, the smaller the sensor’s active sensing surface is, the better its ability for small part detection. Therefore, if an application requires detection of a small part, it’s best to start with miniature capacitive sensor. 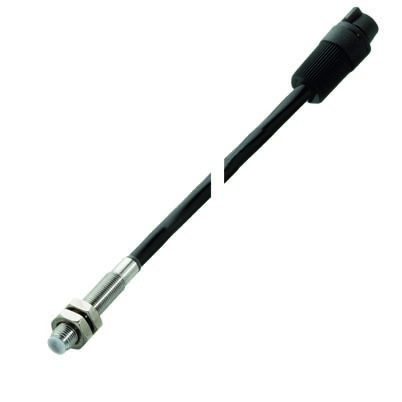 For more information on miniature capacitive sensors click here. As I discussed in my last blog post, there is a need for miniature, precision sensors. However, finding the right solution for a particular application can be a difficult process. Since every sensor technology has its own strengths and weaknesses, it is vital to have a variety of different sensor options to choose from. The good news is that there are several different technologies to consider in the miniature, precision sensor world. Here we will briefly look at three technologies: photoelectric, capacitive, and inductive. Together these three technologies have the ability to cover a wide range of applications. 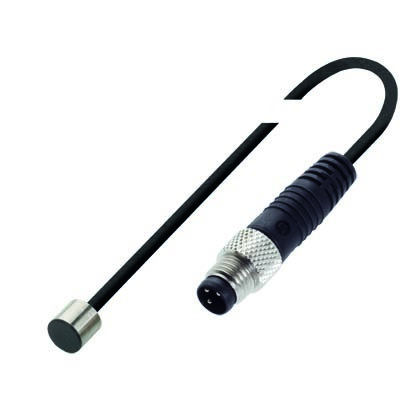 Photoelectric sensors use a light emitter and receiver to detect the presence or absence of an object. This type of sensor comes in different styles for flexibility in sensing. 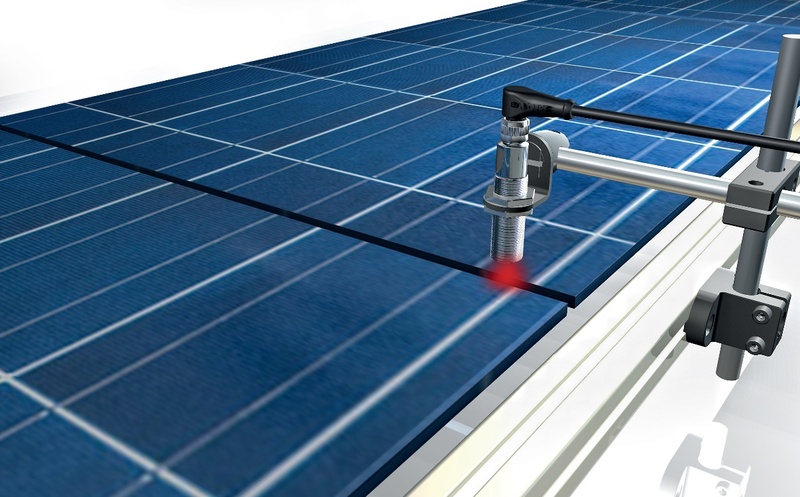 A through-beam photoelectric is ideal for long range detection and small part detection. Whereas a diffuse photoelectric is ideal for applications where space is limited or in applications where sensing is only possible from one side. 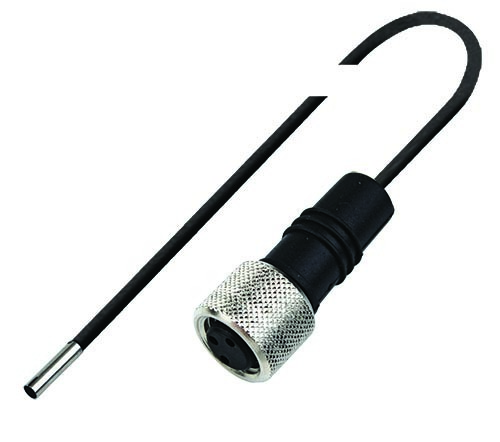 Miniature photoelectric sensors come with either the electronics fully integrated into the sensor or as a sensor with separate electronics in a remote amplifier. Capacitive sensors use the electrical property of capacitance and work by measuring changes in this electrical property as an object enters its sensing field. Capacitive sensors detect the presence or absence of virtually any object with any material, from metals to powders to liquids. It also has the ability to sense through a plastic or glass container wall to detect proper fill level of the material inside the container. Miniature capacitive sensors come with either the electronics fully integrated into the sensor or as a sensor with separate electronics in a remote amplifier. Inductive sensors use a coil and oscillator to create a magnetic field to detect the presence or absence of any metal object. The presence of a metal object in the sensing field dampens the oscillation amplitude. This type of sensor is, of course, ideal for detecting metal objects. 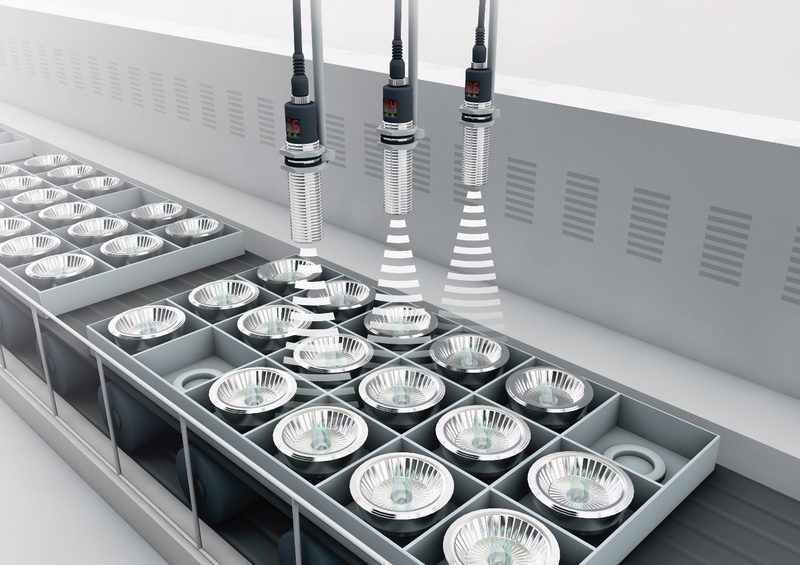 Miniature inductive sensors come with the electronics fully integrated into the sensor. One sensor technology isn’t enough since there isn’t a single technology that will work across all applications. It’s good to have options when looking for an application solution. Are all capacitive sensors for liquid level detection created equal? When standard capacitive sensors are used for liquid level detection in an indirect level detection application, the sensor must be adjusted to the point where it ignores the container wall but reliably detects the capacitance change caused by the changing liquid level. 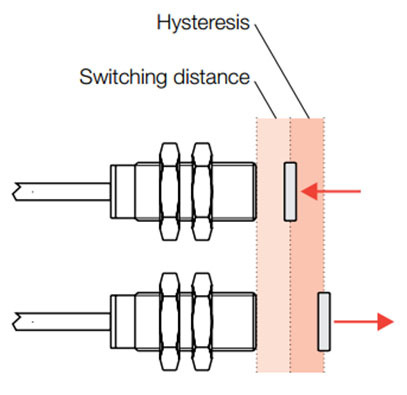 Typically, a standard capacitive sensor can be adjusted to disregard a wall thickness of approximately 4mm. In addition, the dielectric strength of the liquid must be higher than the container wall for reliable level detection. Capacitive sensors detect any changes in their electrostatic sensing field. This includes not only the liquid itself, but also application-induced influences such as condensation, foaming, temporary or permanent material build-up. 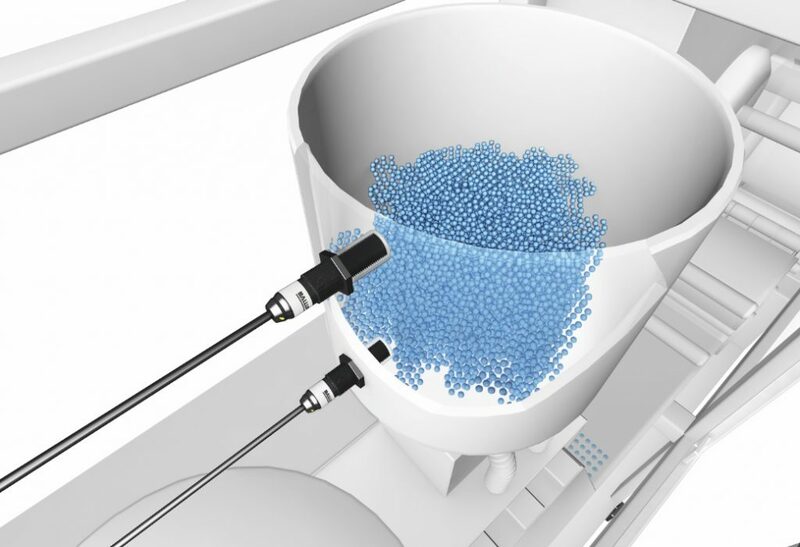 High viscosity fluids can cause extensive delays in the accurate point-level detection or cause complete failure due to the inability of a standard capacitive sensor to compensate for material adhering to the container walls. A perfect capacitive sensor for non-invasive level detection applications would not require any user adjustment after the initial setup process. 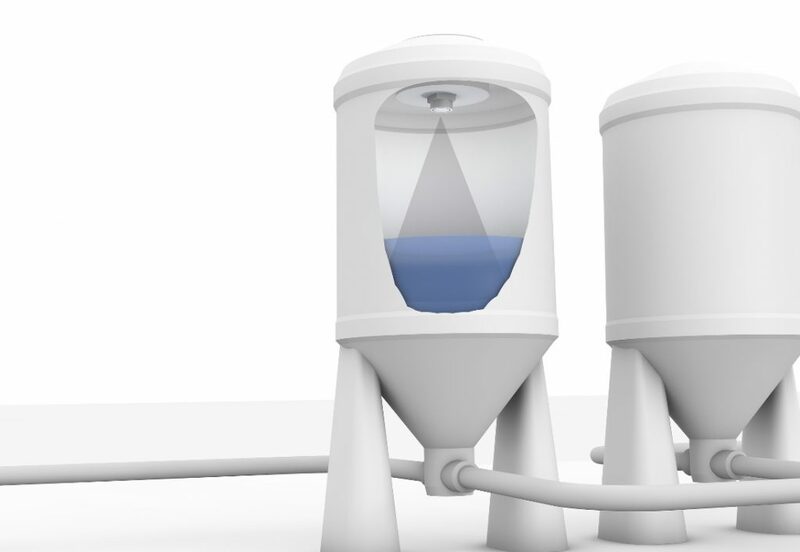 It would detect the true liquid level of any type of water-based liquid through any non-metallic type of tank wall while automatically compensating for material build-up, condensation, and foam. While ignoring these interferences, the sensors would still detect the relative change in capacitance caused by the liquid but use additional factors to evaluate the validity of the measurement taken before changing state. These sensors would be fundamentally insensitive to any non-conductive material like plastic or glass up to 10mm thick, which would allow them to be utilized in non-invasive level applications. The enhanced capacitive sensors only limitation is it would require electrically conductive fluid materials with a dipole characteristic such as water to operate properly. This is a great concept but does a sensor like this exist today? The short answer is yes, and it is called SMARTLEVEL! Picture this scenario. You, your spouse, or one of your kids happens to be riding one night in the middle of nowhere when a tire blows on the car. First, we can only hope that your loved one remembered the lesson they received on how to change a flat tire in a pinch (if we gave it to them in the first place), because on this particular night, there’s no cell coverage where they’re at, AAA isn’t going to get to them very quickly, there isn’t a can of Flat Fix in the trunk, and there isn’t much traffic on the road they’re traveling on for a good Samaritan to likely show up any time soon (the scenario is extreme, but not impossible). The jack kit sitting under the spare tire is going to seem pretty doggoned important, don’t you think? We take a lot for granted these days and for those of us who have been involved in the world of factory automation for many years, getting to work with customers to help solve Error-Proofing challenges on the plant floor is like one big “Class Trip” every single day! It’s kind of like providing our customers with “toys for adults”. And it’s a real hoot. We get to see how stuff is made, get the opportunity to help manufacturers build better products through our Error-Proofing sensing technologies and learn over time which end products to buy and which ones to shy away from! We also quickly realize the extreme importance of the DETAIL! Like the components in the emergency jack kit! What if the main handle was missing when you or your relative went to jack up the car? What if there wasn’t any grease on the main lift shaft threads and the car couldn’t be raised? What if other parts were missing from the kit? Not a good scenario.